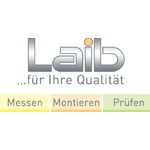 LAIB Maschinenbau is a specialist in planning and development of facilities in the areas of measuring, assembly, testing. With the expertise of more than 30 years, we produce extremely long-lived assets in the highest quality and at realistic prices. Our customers are challenged to meet ever higher expectations placed on product quality at ever faster changing product life cycles. 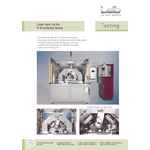 This is also our motivation to develop for you newer and more accurate machines, so that you can improve your standards. For this, we rely not only on the latest technology and high quality of our suppliers, but also pay attention to a long service life of our products, so you can expect a long time with accurate results. Laib Maschinenbau se specializuje na navrhování a vývoj zařízení v oblastech měření, montáže, zkoušení. S více než 30 letou zkušeností, vyrábíme zařízení s mimořádnou životností, nejvyšší kvalitou a za příznivé ceny.